Much like Bundesliga fans around the world, Michael Ballack can't wait for Wednesday's top-of-the-table clash between his old club, FC Bayern München, and the season's surprise package, RB Leipzig. Need more Bayern or Leipzig stars in your Official Fantasy Bundesliga team? Click here! 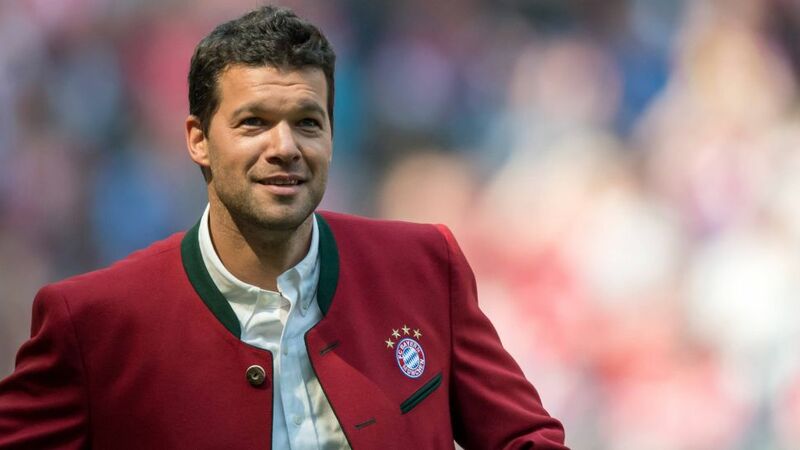 bundesliga.com: Michael Ballack, how much are you looking forward to the match between Bayern and Leipzig? Michael Ballack: We've got a great finale coming up here before the winter break, and it promises to be a game of the highest order. It should be very tasty indeed, because both teams have a lot of skill and like to get forward, they have plenty of attacking options. RB Leipzig have come in with a new way of doing things, and they have made a lot of investment in infrastructure, while Bayern have been dominating for several years. It's a fascinating set-up. bundesliga.com: Do you think it will be a spectacular game? Ballack: Expectations are always high for a game like this, but I genuinely think it will be a fantastic match. Bayern will be playing in front of their fans, and will do everything they can to get a win. And Leipzig have already shown that they are capable of winning away from home. Their philosophy seems to be to go for the win in every match. Since the start of the season, they have made it clear that they are not going to be satisfied with just a point on the road, and they've beaten some big teams with that attitude. Aside from Dortmund, there aren't many teams in the Bundesliga who can go to Munich and play for a win, but I think that Leipzig might just be one of them. bundesliga.com: Were you surprised to see Leipzig get off to such a good start? Ballack: Sure. It’s all happened very quickly. But I don’t think that RB are going to drop off the radar in the second half of the season. The squad is pretty young, and a lot of their players don't have much Bundesliga experience – so it will be interesting to see how they deal with losses further down the road. They seem to have bounced back from the first defeat against Ingolstadt very quickly. They were excellent against Hertha, which showed that they might not have too much trouble dealing with setbacks. They look very stable to me, and I think they will stick around at the top of the table – not least because they can really play. bundesliga.com: What do you make of Bayern under Carlo Ancelotti? Ballack: The team's individual class has come to the rescue in a number of games, including last week in Darmstadt. At times, it seems like the transition from Pep Guardiola to Ancelotti hasn't really taken hold. But it takes time for any new coach's methods to sink in, and for his ideas to become automatic for the players. Bayern still have the best squad in Germany, and at the end of the day that's why they are still on top. The team's performances this season have not always been of the highest quality, but Bayern are coming off four straight league titles. It's tough to keep that same squad motivated year after year. bundesliga.com: What does your gut tell you? How's this match going to go? Ballack: At the moment Leipzig are the team in better form. But then everyone knows that Bayern have the ability to flip the switch – the way they performed in Darmstadt shouldn't be used as a measuring stick. Bayern's players will be much more motivated. They'll be in a very different mental space, because they know Leipzig are level with them on points. The atmosphere in the ground will be intense as well. I think Bayern will take advantage of that home advantage and get a win, even if I don't think they're quite as dominant as they were under Pep. Click here to go to the Bayern-Leipzig Match Centre!